Kathleen from grevisangel73 nominated me for the ‘This or that book tag award’. Thank you so much Kathleen. I love her blog and her soul resonating poems. Go give her a visit, it’ll be a beautiful experience!! Main male character or main female character? Heptologies. Harry Potter for life 😄😄But if I gotta choose, its gonna be Trilogies…. keeps the adrenaline running with each part yet doesn’t keep you waiting too long. Third person POV. Its feels I’m indeed gliding into a new world created by the writer. Reading at night or the morning? The night, its more mysterious. At night it feels like anything magical can happen from a far away distant land. But to be exact, I think its books that make me think and takes me on an adventure. Black book cover or White book cover? Character driven series or plot driven series? Plot driven series. Except when its a Paulo Coelho book. Since I’m talking about eyebrows, lemme share this pretty interesting/ expensive eyebrow story of a friend!! I’m friends with a very nice guy on Facebook. He was a model in New York and now into real estate. I had a mutual friend with him and one day while I was in 11th grade, I saw this particular friend ‘like‘ his modelling pictures for a famous brand……which were pretty much the best I’ve seen till now. So I too sent sent him a friend’s request. It was quite surprising that he accepted my friend’s request. Even more surprising that he was gay!! But the most surprising was his background. And his skin…… freaking light emitting diode!! Glowing is an understatement. He’s SPARKLY….in a good way. I haven’t ever seen a girl such light reflecting skin. He sometimes appears in tv shows, giving skin care tips. People like me, we post on fb and insta after a nice trip to the restaurant or cafe. Coming to the eyebrow story. Now I’ve seen nail saloons. Hair saloons. Apparently these days there are Eyebrow saloons!! And there he gets his eyebrows done for $60 !!!! $60 for eyebrows people!!!! So I did a bit of research, what extra out of the world facilities you can get for a $60 eyebrow sitting!! Well other than just threading, $60 eyebrows come with a few more things. All this is done to make the eyebrows look denser and thicker, yet natural. The things you can do these days!! His eyebrows actually look really cool. These kind of stuff might just work! One crazy thing had happened before the elections, during the rallys. Even though his dad’s from the Democratic party, he was a strong Bernie Sanders supporter…..and pretty vocal about his dislikings for everyone else. And this led to trouble. Because a lot of other people of the party are in his profile, most importantly due to his dad’s position. He had to then take down the status and clear the air with another status. He’s my first gay friend. In India you don’t get to see much gay people around…..even if you do, they’re in closet so you wouldn’t know. But after adding him as friend in fb I got to see how cool they are. Most of them are really Awesome!!!! Its unfair how media stereotype them in not so pleasant ways. Its a pity how he gave up modelling so early. He’s gonna turn just 30 in a few days. And he’s the perfect model!!!! Great height, broad bones and the gorgeous hair definitely works for him…..but he produces crazy good shoot photos……I don’t really understand much about modelling but if there’s anything like ‘modelling industry’ then its truly a loss for them. He’s that good. With his talent and his dad’s contacts he could’ve gone a long way. But then not many people have the mentality to stay long in such professions. No matter how influential your dad is, crazy things can still happen….and some people don’t tolerate all that…… specially when there’s no scarcity of money. He’s very much an introvert with only 2-3 friends. But he loves Indian food. And that’s what we first got talking about!! First time he had Indian food, he was overwhelmed and posted it all over Facebook, giving pictures and statuses about how its the best thing he has ever tasted. 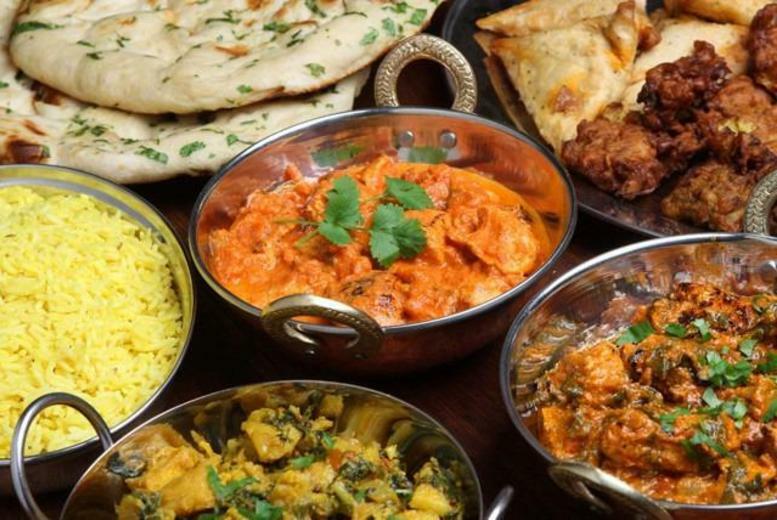 I love suggesting Indian food to everyone….. even if its just dinner with my Indian friends or my foreigners friends here at the blog and Instagram…..I love it when people love Indian food!! 😌😌 The spicy currys, the soft paneers, the buttery chicken, the fluffy rotis, variety of rice, the fried vadas, smoky kebabs ohohooo😝😝 I learnt all this from my parents, they are great at ordering food in restaurants!! Take in the aroma and enjoy the scintillating taste of the thick spicy curry!! Thank you Sup, it has like become a part of my identify!! Congratulations, dear! Your unibrow is gorgeous, as is the rest of you. Bonjour Bernard, c’est très gentil de votre part de partager vos douces pensées avec moi. L’amitié est en effet précieuse dans ce monde. Je vous souhaite tout le bonheur dans la vie et une merveilleuse semaine à venir! Yeah I’ll pass on the eyebrows thing, but thanks anyway 🙂 Us Brummies (originally from Birmingham) know a thing or two about Baltis but I’d never cook Indian food, needing about 70 different spices and stuff. Yeah its a very expensive eyebrow sitting lol can’t imagine getting one myself. Probably models and such people get these done mostly, specially the one with thin eyebrows, their money depends on their looks. Oh wow Mithai, Indian food is literally my favorite kind of food. That’s 100% true. But there isn’t a single Indian restaurant near me! So somehow I need to learn how to make it myself. Do you have any advice for how I can start learning to make my own Indian food? Spicy curries are my favorite. All pastes, powders and masalas are available in packets in any spice store. Wow Mithai! Thanks for looking up these recipes! Thanks Mithai, that’s no problem! I’m grateful that you put so much effort into helping me! Yes I have heard of her, she’s gorgeous and very bold! A very interesting post. Yes, why are all the best looking men gay? Or perhaps, to put it the opposite way round, why are all gay man good looking? It’s make some interesting research, I think. Your comments on Indian food made me think. I, too, love Indian food, and I have no idea about what to eat with what, either. Perhaps you could write a post on this subject one day. It would be interesting and informative for those ofus who love Indian food, but haven’t a clue. Ordering Indian food can be confusing, even for Indians. But few classic dishes like chicken butter masala, paneer butter masala, dum aloo, are best eaten with rice, or even with bread. These are some of my fav dishes 😊😊 All currys!! Congratulations, Mithai. And thank you for being a diligent reader and liker of Under Western Skies. I’m always happy to see you appear from the other side of the globe. Thank you for visiting and following my blog. Your blog is multidimensional and interesting. I love your writing style. Thanks for following my blog. From one foodie to another, I enoyed your food thoughts and photos. Isn’t it fantastic that we can meet interesting people from all over the world without leaving home? They started doing the eyebrow thing here for men and women, but now they all look the same – its boring – I think your eyebrows are fantastic Mithai – please don’t do anything to them. 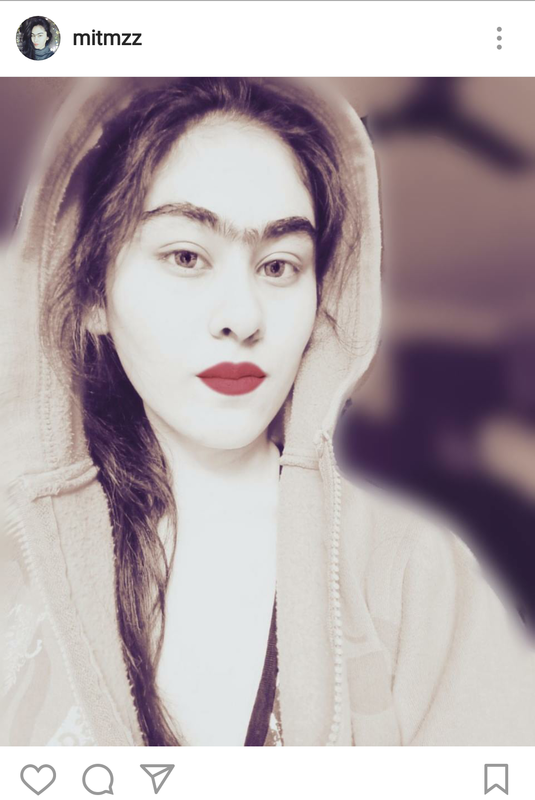 One of my favourite artists is Frida Kahlo and she wouldn’t have looked so beautiful without her mono-brow. My eyebrows used to make me look like Marlene Dietrich when I was younger but they are white and long now. My daughter keeps saying I should pluck them – but why? They are me and I am still loved. Yeah I also don’t like too well groomed eyebrows on guys, as you said, it looks boring…..and maybe a bit self obsessed for guys lol But if done properly it can actually look good and natural! I have no trouble believing that. Hi Mithai, thanks for accepting the award and completing it. I really enjoyed your answers. Thank you so much for the kind compliments too. I was wondering what an eyebrow weave was? I had thick eyebrows when I was younger. I did not like them. I plucked them when I was about 12, they used to go all the way across to the bridges of my nose. 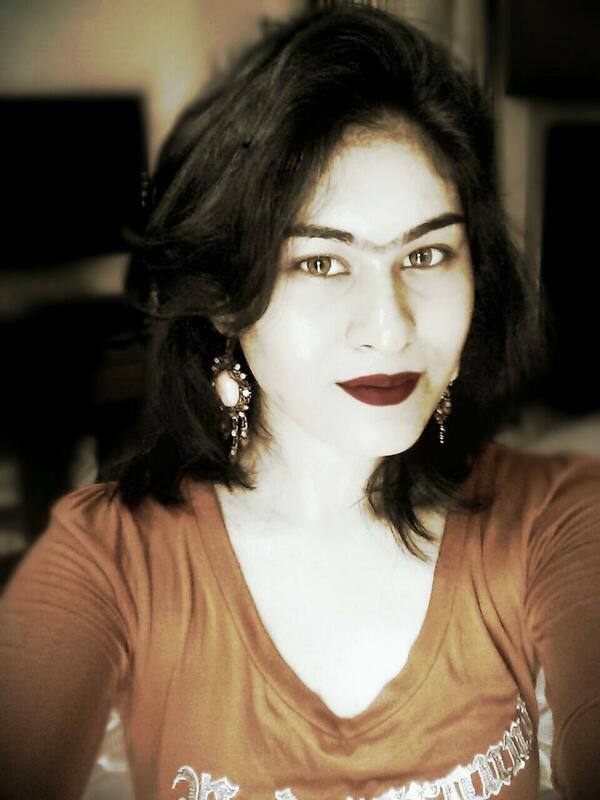 Now some women look really good with thick brows. I guess it depends of your hair color and type, shape of your face and skin tone. I was very pale and thin, light brown to blonde hair and a long face, so they did not look good on me, as they were dark and really stood out. I still have to pluck them. Thanks again. I really enjoyed your answers. When I did mine, a friend did it. I remember it hurt hat first time, but after that it has not hurt since.On me they were very noticeable, since I was so fair complected and light haired. Have you ever tried to do them yourself. You need a good pair of tweezers and a good lighted magnified mirror. I haven’t ever tried to do them myself, I’m scared I’ll up the shape! Does the hair really come out with tweezers?? I have screwed mine up a few times where I pulled too many out and they were uneven, but no, it doesn’t really hurt me. I guess it would depend on how deep the roots are. I think the more you pluck them, the less it hurts.Yours do look thicker than mine, so it might hurt a bit. Mine still hurts like hell even now. Everytime after plucking out a couple of hairs, I need to take a break, the lady at the parlour massages my eyebrows and my forehead becomes all red! I try to avoid eyebrow sessions as much as possible! Sorry to hear that, you must have really long roots. Before I plucked mine I was afraid to do it, and I shaved them, but that wasn’t such a great idea. I think yours look good as they are. Well you can always try it, but be careful. I hear all sorts of bad stuff about shaving so whenever I think of doing it, I back away!! I was more afraid of cutting my eye than anything else. What I would shave is where they went across my brow. That’s very true. I screwed mine up a couple of times, and then had to pencil in what I messed up until it grew back. That’s why I never plucked that part, its very difficult to do it seamlessly. I know, and you have to have a steady hand. At my age now. I shake to much. I am trying to catch up on your blog. Every day I try to read one persons entire blog. I might not finish tonight. I will have to come back. Thank you very much for your frequent visits to my blog! I try to reciprocate and acknowledge each visit but often I am unable to do so. That doesn’t mean that I don’t appreciate your visits! Mithai, wow! I am smiling at two visits from you and many likes! Thank you very much! This comment cracked me up, Mithai! There were 100 first dates I tried to write about this the first years of blogging to build a humorous base but when I started I didn’t take pictures and less people wanted to read my adventures including dating a guy who used his only phone call from prison to call me and a deep sea diver who wanted to date me and my 31 year old daughter that I had posted on that silly site! Just 2 experiences of the 100 in six months time. . . Laughing at your friend’s and my own escapades. They are in the 2012 or 2013 posts. I dated 3 Dan’s in one month one time. My kids made up Dan, Dan the bike shop man (he still is a friend who lives nearby), Dan the motorcycle man and Danny who collected arrowheads, hiked and caved. . .
Another post my reader missed arrggghh..
Yeah i found my way cos i have been wondering why havent seen you in my reader for quite a while so i navigated back to the last time you liked one of my posts.. In a non-related post comment, I just love all your pictures of yourself in your posts. Somehow you look different or have a different look every time or post. I don’t know how you do it. If you were not a Business major I would say you have a bright future n the fashion industry. Ciao! Oh I love your different looks. You have such a flair. And then I see those candids of you and wonder if its the same as fashion model Mithia. You give all us other foodies hope! I am so glad you have diverse friends and think it is important to be open but not alienate people in politics religion or other "touchy" subjects. Yes absolutely. Its very important among family to get along. Keeps happiness intact…….also outside people try to take advantage if there’s problem inside family. Hi and thanks for all the reading on my blog! and we eat a lot of Indian food here….my latest new thing to make was Adai, with a wonderful cauliflower curry. You are so right too, north and south Indian dishes really need to be separate meals. Good for you almost being finished with your degree, too! Keep going!